St. Anthony’s BNS loves its GAA and prides itself in the many GAA opportunities and experiences it provides for its pupils to play both hurling and football. St. Anthony’s has a strong hurling and football tradition and has provided Cork GAA teams with many sporting stars over the years and hopefully this will continue in the future. We have a strong partnership with the local GAA clubs and they provide us with Coaches and the use of their facilities for matches and during the school year. At St. Anthony’s, we are very lucky to have a large number of staff who are qualified coaches and provide their time freely and willingly during and after school to coach our pupils and to help to develop their talents. We enter the Sciath na Scol Hurling and Football Competitions annually. We also organise many fun blitzes and challenge matches against other schools throughout the year. 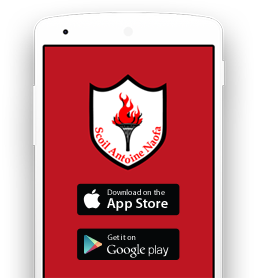 St. Anthony’s, the famous “Red and Black” are presently the Sciath na Scol Roinn A Football Champions for 2016/17 and the Cork County INTO Mini 7’s Football Champions – a huge achievement.